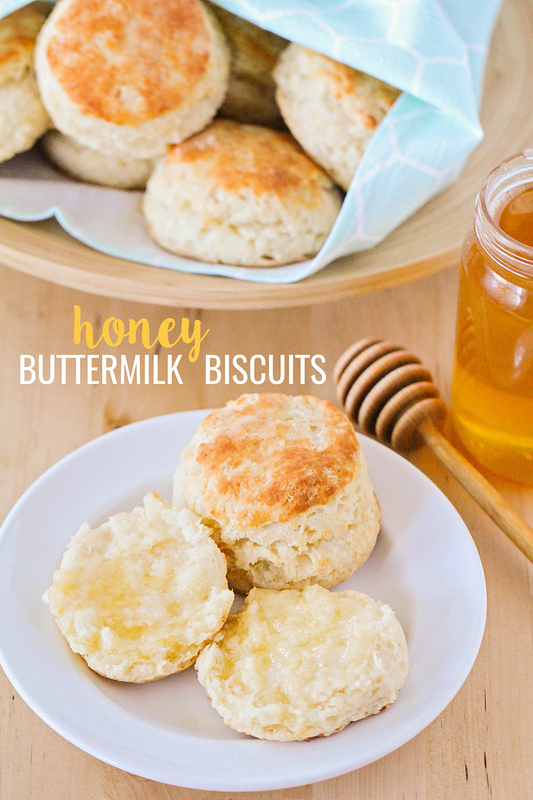 These light and flaky honey buttermilk biscuits are melt-in-your-mouth delicious! I remember when I first discovered the joy of biscuits. I found a recipe in my mom's ancient bread cookbook when I was about twelve, and started whipping up biscuits weekly. I always over-mixed them (and overcooked them), and they were basically just hard little doorstops, but I loved them! At this point in my life, though, I have become a total biscuit snob. They have to be just right - crisp on the outside, and fluffy and flaky on the inside. The baking powder flavor can't be overpowering, and they have to be buttery and melt-in-your-mouth tender. 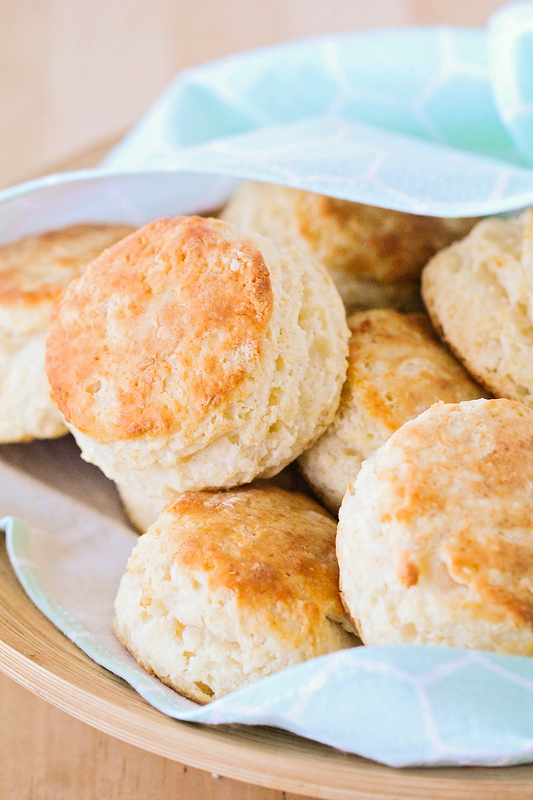 I've developed what I consider to be the perfect biscuit recipe, and I make them all the time (at least twice a month, but sometimes twice a week!). These honey buttermilk biscuits are a fun twist on my favorite biscuits, made even more delicious with the addition of some sweet honey. 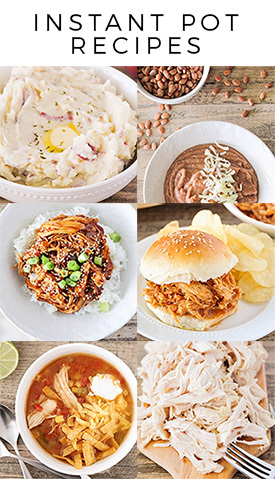 They are so delicious that they will win over even the pickiest of eaters! Preheat the oven to 450. Line a baking sheet with parchment or silicone and set aside. In a medium bowl, whisk together the flour, baking powder, and salt. Grate the cold butter into the flour mixture and toss to combine. In a small bowl or measuring cup, whisk together the buttermilk and honey. Add the buttermilk mixture and mix just until the dough comes together. (Be careful not to over-mix!) Pat the dough out to an even layer, about one inch thick, on a lightly floured surface. Fold the dough into thirds, as though you are folding a letter. Pat the dough out again until it is about one inch thick. Turn the dough 90 degrees and fold it in thirds again. Pat it out into a rectangle that is approximately one inch thick. 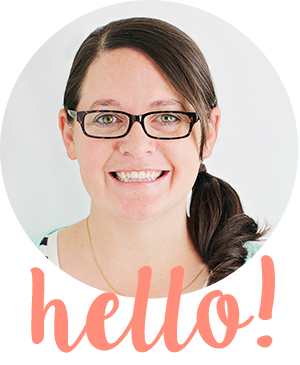 Cut into circles using a biscuit cutter or small cup. Bake 10-12 minutes, or until golden brown on top. I made these biscuits tonight and they are amazing! So light, fluffy, and delicious. Thanks for sharing your recipe! What's the baking temperature? Thanks!